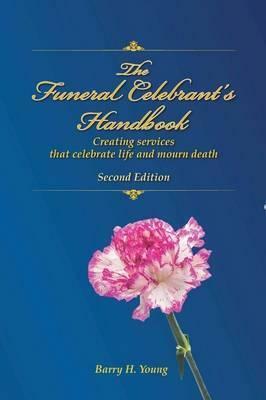 Suitable for qualified celebrants or church leaders, celebrants-in-training, or those who are thinking about entering the vocation of funeral service, this handbook covers different aspects of a service, beginning at the time of initial contact and the first meeting with the bereaved, right through to the service itself. Today more than ever, personal funeral services that capture the essence of the departed person - their character, spirit and legacy - are being planned and conducted by civil celebrants in collaboration with family and friends of the deceased. With this move away from traditional funeral services, comes an increased responsibility for the funeral celebrant, to honour the departed in an appropriate way, and make sure each service runs as smoothly as possible. This handbook is the ideal companion for qualified celebrants of church leaders, celebrants-in-training, or those who are thinking about entering this vocation. It covers every aspect of a service, beginning at the time of initial contact and the first meeting with the bereaved, right through to the service itself. In this book you will also find a varied collection of readings, poems and sample eulogies for each type of funeral service, as well as advice about conducting memorial services and funeral services with a difference. Barry Young has been a highly respected civil service funeral celebrant for many years. The personal satisfaction he has received in this calling has compelled him to write this book to share his knowledge and experiences with aspiring funeral celebrants.